For entrepreneurs, the hardest thing isn’t coming up with innovative ideas, it’s knowing which of your ideas or businesses are worthy of financing. The truth is finding the money to run a startup requires a lot of planning, regardless of whether you’re going to pursue outside funding or choose to bootstrap your first few months. Whatever the case may be, Jumia, Nigeria’s number one shopping destination shares signs to indicate that your startup or business is ready for financing. The fact is, only a handful of investors will feel comfortable investing their money into just an idea, no matter how enticing it might be. Your startup is ready for raising capital when you have a tested product to bring to your investors notwithstanding whether it’s a prototype of a physical product or a beta version of a programme or website. Be ready to present any data, reviews or research you’ve acquired after testing out that product, too. And if that data isn’t favourable, you might need to go back to the drawing board. For example, before Jumia decided to raise funds, it already has a tried and tested product which works. It is the leading eCommerce platform in 14 countries and often regarded as the 'Alibaba of Africa'. It is important to have a well thought out business strategy/plan, including financial forecasts. This shows investors that you’re not just there to sell your idea, you’re there to sell a business. That’s something that investors can relate with. 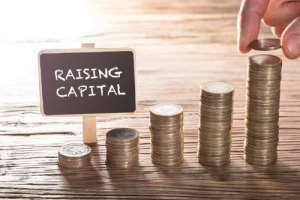 Whether you’re pitching to an investor or seeking a small business loan through a lender, your financier will want to see how you plan on using that potential money. You can’t just ask for money as an entrepreneur. You need to know exactly how much money you need, why you need it and how you’ll use it. That’s especially true if you seek financing through an angel investor. Since these individuals lay their own money on the line to fund your start-up, they need to be sure your venture is sustainable, eventually lucrative and that you’ll use their resources wisely. Before you seek financing, recruit a capable and qualified management team to run your business, or have a hiring plan in place to do so ASAP. And if you don’t have enough relevant experience in the field yourself, you’ll need to gather a team of partners or mentors to fill the gaps in your knowledge. It’s crucial to acknowledge you can’t do and know everything yourself.